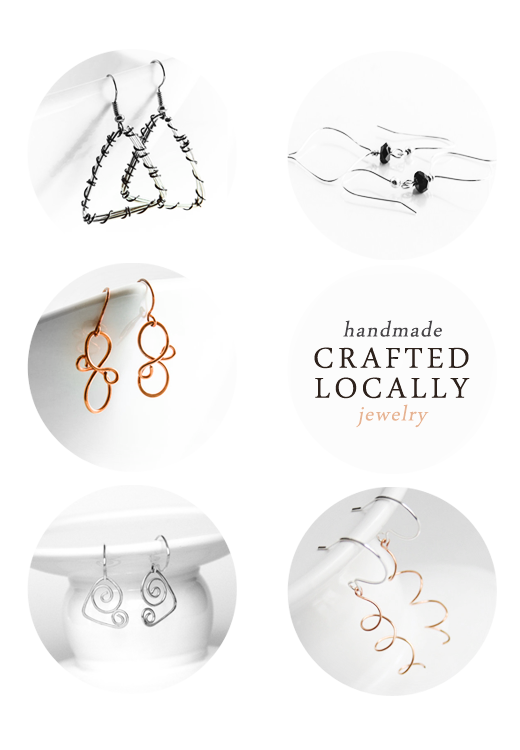 Showcase: Crafted Locally Handmade Jewelry + Giveaway! Happy Tuesday! Today I am showcasing a handmade jewelry shop on Etsy that I’ve loved since I found it a few months back. It’s called Crafted Locally, and it carries the work of the lovely Debora L. Griffin, as well as select pieces made by local artists from her community. Don’t you just love them and want them real bad? Because I do. 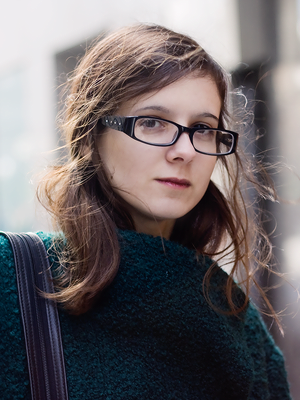 I also want some of her bead work earrings, which are super nice too — but the wirework is just ridiculously beautiful! You’ve got lots to choose from — and you’ll have to if you win the $30 credit to her store Debora is giving away to one of my readers! I’m seriously so excited to be hosting my very first someone-else’s-stuff giveaway on my blog, and I’m so happy I get to team up with Debora for it. All you have to do is complete the super easy steps on the Rafflecopter below! If you win, you will be contacted by email. The giveaway is open worldwide and will run for two weeks. Get on it, and spread the word! And even if you don’t enter, don’t forget to check out Crafted Locally on Etsy and have a good browse around. I am obsessed with the triangular shaped ones wrapped in wire. I’ve seriously never seen anything like them! I know, right? She added them to the shop just a few days ago and I was like, oh my god, are those new, I love them to BITS. The ones in the top right and bottom left are my favorites. Everything is so pretty! I love the copper rose ring! The diamond shaped hoops have such a pretty hammered texture! I like the orange crackle earrings. I would love to get the snowflake necklace or earrings for next year! Love the swarovski star pink bracelet! Hi! Cool shop!! I would get the Blue Iridescent Earrings. They’re lovely. Thank-you! I like the silver wire hoops, to cute. 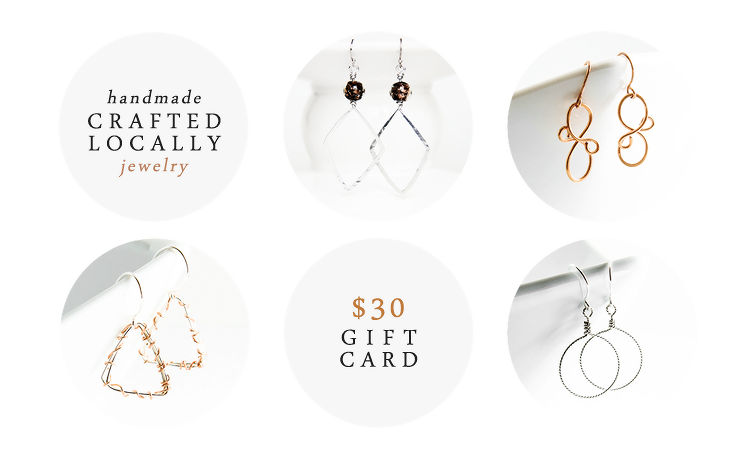 I would definitely get the copper spiral earrings! I like those diamond shaped hoops! i love the diamond shaped earrings! I’d like the Frosted Clear Necklace, Pink Necklace, Clear Pink Necklace, Shell and Resin Necklace, Original Design, Distinctive Necklace. The site has some wonderful items. I think I would get the Gold Lampwork Earrings, Amber and Aqua Bead Earring. They are beautiful. the snowflake necklace is pretty neat! I love the Hammered Silver Spirals! Thanks for the giveaway! Love the copper spiral earrings. Love these pieces! This is my favorite!